The Fly London Mel boot is constructed from Fly's own Rug smooth leather and Oil suede with authentic creasing across the vamp which continues up to the shaped edging. Complete with a Fly London metallic two pin buckle. The soft leather flows around the rear of the boot, over shaped panels before it finishes alongside a bold side zip. 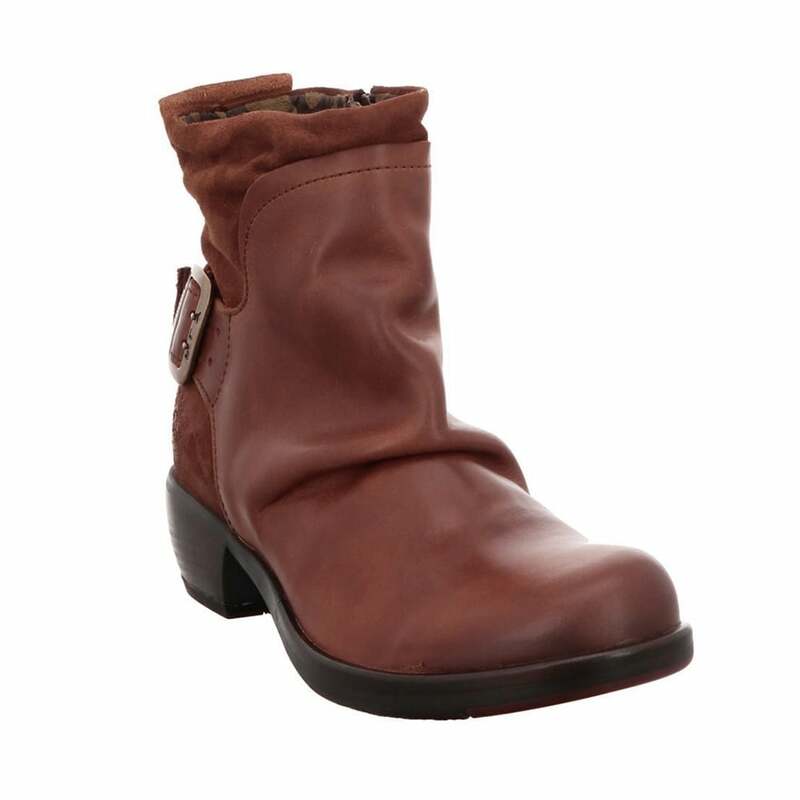 This boot also features a contrasting suede leather for a more rough and ready feel. Inside, the Fly London Mel is lined in soft suede like textile while its well padded insole is covered in a bold floral print.